Sea waves washing sandy beach with floating garbage and plastic debris scattered along coastline. Ocean shore covered with disgusting trash after storm. Ecological problem of marine pollution. 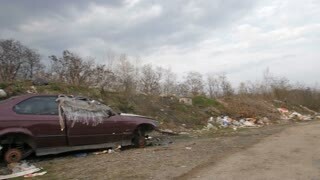 Urban garbage dump. 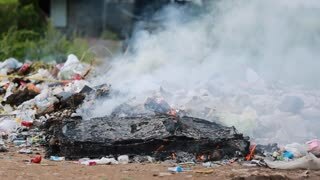 Eco pollution environment. Problem of ecology in the world. 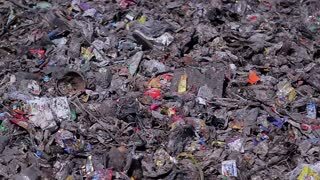 Garbage of municipal waste. 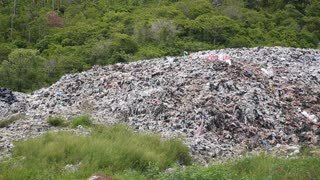 Low angle view of male in dirty clothes standing on top of garbage heap at dump landfill site holding trash bin bags in hand. Blue sky on the background. Environmental problems and pollution concept. 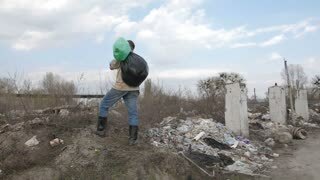 Mature homeless man in dirty clothes standing on the hill of garbage at trash dump landfill site in city. Male holding trash bin bags and old shoes. Environmental problems and pollution concept. 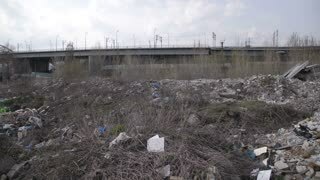 Panoramic view of illegal garbage dump within city borders. 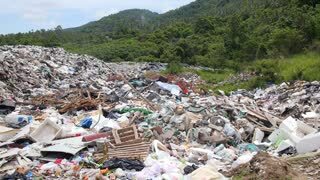 Piles of trash at landfill site. 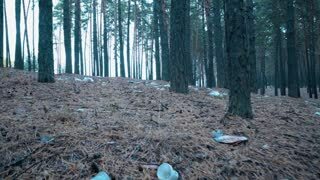 Unlawful contamination with plastic and construction waste. Environmental problems and pollution concept. 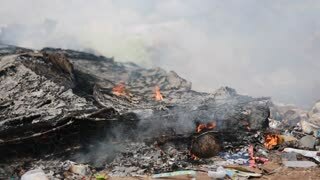 Homeless man with trash bin bags on his shoulder standing on the hill at garbage dump site in city. Slow motion, camera rotating 180 degrees. Environmental problems and pollution concept.